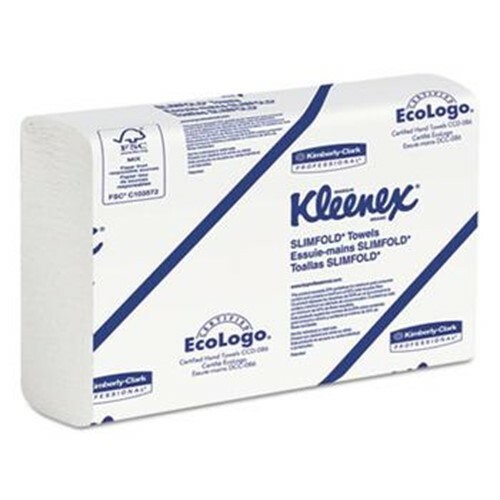 Kimberly-Clark Professional Kleenex Slimfold Hand Towels. A folded towel that is perfect for businesses where space is at a premium. Exclusive Absorbency Pockets provide excellent absorbency and hand-drying performance. This product was made from wood that came from a certified managed forest. Case Size: 4"x 8.5"x 15.5"